Comic Book Lovers Alert! 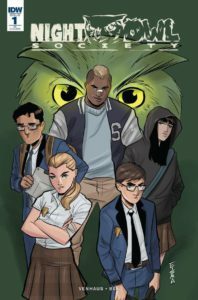 If you like stories about super heroes, The Night Owl Society is a new twist on those caped or masked guys who may or may not fly. Its set right here in Dallas, but the teenage heroes are a little younger than usual. They also make a few more mistakes in their fight against evil forces but, they have great intentions. Readers will have a lot of fun following their misadventures. 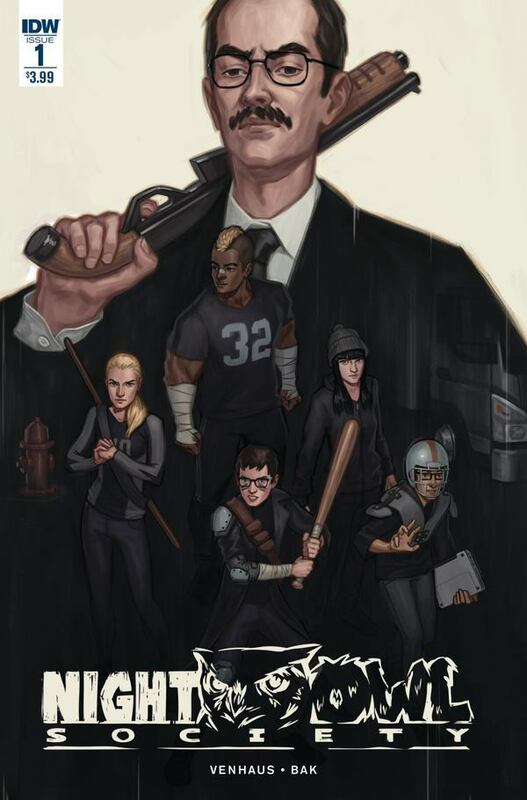 Issue #1 of the new comic book by Fort Worth playwright James Venhaus was published by IDW Publishing in April. The second edition came out this month, and the third and final edition will be released June 10. Dallas readers of the comic will note the local landmarks, ranging from Campisi’s Restaurant on Mockingbird to Reunion Tower. The author said he searched the web for an artist whose style fit his story. His search led to Pius Bak, an artist living in Lithuania. “Pius has been great to work with. Although we’ve never met in person, his style matched the tone I knew I wanted for this book,” Venhaus said. After reading Issue #1, I’m eager to read the next two editions and find out how the story ends. A surprise twist at the end of the first book packed a “gotcha” sized shock. To find your copy of the new comic at a store near you, visit http://www.comicshoplocator. Next article2017 BMW 530i – WOW! Do I Miss My Ex!